Clos des Brusquieres was founded slightly before the start of the 20th century in the Southern Rhone Valley. The first official vintage from the property was the 1912. At the time, the wine was known as Clos Courtil. Courtil was the family name. The estate takes its name from the les Brusquieres lieu-dit, where many of their best vines are planted in. Like many producers in Chateauneuf du Pape, Clos des Brusquieres sold most of the grapes to negociants for decades. That changed in 1996 when the property began producing, bottling and selling their own wine. Clos des Brusquieres owns 9 hectares of vines in Chateauneuf du Pape. Most of their vines are situated in Brusquieres, hence the name. Some fans of this estate have nicknamed the wine the poor man’s Bonneau, referring to Henri Bonneau. This is because the owner is related to Henri Bonneau. Henri Bonneau is the uncle and godfather to Claude Courtil, the owner. Claude Courtil learned much of what he knows about winemaking from Henri Bonneau. Clos des Brusquieres is one of the few Chateauneuf du Pape producers that makes only one wine. Clos des Brusquieres is usually a blend of grapes that feature 80% Grenache, 10% Syrah and 10% Mourvedre. The vines are old at close to 85 years of age. The terroir is mostly rocks and stones in the soil. But you also find other soil types in their vineyards as well. The vines are planted in the les Brusquieres, Pradel and le Tresquoys lieux-dits. 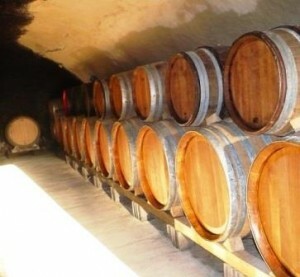 The wine is aged different vessels, depending on the grape variety. The Grenache is aged in traditional cement vats. The Mourvedre and Syrah are both aged in a combination of old and new demi muids. The aging usually ranges from 12 to 18 months depending entirely on the character and quality of the vintage. On average the production of Clos des Brusquieres is close to 2,500 cases of wine per year. Clos des Brusquieres can be decanted for about 1 hour, give or take. This allows the wine to soften and open its perfume. Older vintages might need very little decanting, just enough to remove the sediment. Clos des Brusquieres is usually better with 2-4 years of bottle age. Of course that can vary slightly, depending on the vintage. In the best vintages the wine should be consumed within 3-12 years after the vintage. Clos des Brusquieres is best served at 15.5 degrees Celsius, 60 degrees Fahrenheit. The cool, almost cellar temperature gives the wine more freshness and lift. Clos des Brusquieres is best served with all types of classic meat dishes, veal, pork, beef, lamb, duck, game, roast chicken, roasted, braised, stewed, dishes, sausage, barbecue and cassoulet. Clos des Brusquieres is also good with Asian dishes, hearty fish courses like tuna, mushrooms pasta, eggplant, tomatoes and cheese. The floral notes pop right away before you're able to discover soft, juicy, plums, cherries, floral nuances and kirsch. I like the length, fruit and depth in this vintage. The wine was produced using 70% Grenache, with various other allowable varieties. Flowers, kirsch, licorice and a bit of jam open the nose. On the palate, the wine is medium bodied, fresh, bright and clean, with a sweet, pure essence of kirsch and spice on the palate. Light, straight forward, medium bodied, red berry dominated easy drinking charmer with a core of kirsch and wild strawberries. Licorice, garrigue and cherries fill the nose. On the palate, the wine is filled with sweet, peppery cherries and soft textures. From a blend of 60% Grenache, 15% Syrah, 15% Mourvedre and 10% Cinsault, the wine reached 15% alcohol. With fresh herbs, jam and sweet cherry scents the wine continued on that path all the way through to its soft kirsch finish. Spicy berries, soft, lusty textures are topped by peppery, fresh, spicy red fruits herbs in the finish. Spicy, open and forward, this delivers an elegant, fresh light style of Chateauneuf du Pape with a cherry finish. Referred to as the poor mans Bonneau, because the wine maker is a nephew of Henri Bonneau, who learned his trade from the elder Bonneau, the wine is packed with layers of sweet, jammy kirsch, pepper and herbs. Rich, with good intensity, this should age well. Medium bodied, elegant, fresh, bright wine with sweet, fresh, juicy, red cherries, thyme, garrigue and floral notes that is already showing nicely. Like walking next to a barn door that is wide open and sending out its animal, horse and earthy scents, coupled with black raspberry and red plums. Open and ready for business, tasters with an affinity for those aromas will like this wine a lot more than those that don't.